This is not what I wanted to return home to — the images of two African-American men gunned down by white police officers in as many days. We protest the killings of Alton Sterling in Baton Rouge, Louisiana, and Philando Castile in a suburb of St. Paul, Minnesota. They had families that loved them and meant no harm to anyone. Castile, a cafeteria supervisor for the St. Paul public schools, was a leader and mentor in his community. But even if they were homeless and alone, they wouldn’t deserve to die. The reason we need to remind people — over and over, it seems — that Black Lives Matter is that too often people forget those three words. I’m white and grew up in the South at the end of Jim Crow. Every Black person I knew could tell me of at least one person in his or her family who had died at the hands of a white person. Sometimes it was a police officer. The death of an African-American motorist stopped for a broken tail light — the exact situation that claimed Castile’s life — was so common it had become a cliché. Others’ family members died at the hands of individual racists, some of them acting as part of organized groups such as the Ku Klux Klan. The murderers were rarely, if ever, punished. The United States was born in slavery, and this original sin continues to haunt us. Most of my family immigrated from Europe to the U.S. long after the Civil War, but unlike too many of my fellow white Americans (including members of my family), I do not believe that this fact absolves me from the responsibility of slavery and its aftermath. The country’s immense wealth, including its entrance into the Industrial Revolution, was built on the backs of unpaid labor. A wage-earner, no matter how poorly compensated, could save money to buy a place to live or start a business. Around the time my great-grandparents arrived, white workers could create unions to fight for better wages and working conditions. Until the Second World War, those unions excluded Black workers. Enslaved people could not earn and save money or fight for better conditions. Only a few owners allowed their enslaved workers to buy their freedom, and sometimes enslaved people paid for their freedom but never received it. 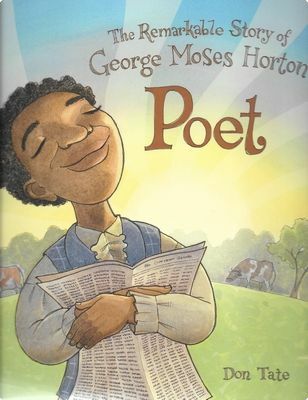 Don Tate’s picture book Poet: The Story of George Moses Horton portrays a man in that situation, his savings lost and his hopes dashed. So until the end of the Civil War, all that hard work amounted to nothing. No, less than nothing. It cemented the wealth and power of the Southern white slavocracy, which quickly reasserted itself at the end of Reconstruction. The political restrictions known as Jim Crow — the world my forebears immigrated into — backed up by the violence of the Ku Klux Klan, stripped many Black people of their hard-won assets and left them as permanent second-class citizens. The apartheid system in South Africa was modeled on the Jim Crow South of the United States. But unlike in South Africa, there has been no systematic Truth and Reconciliation Commission for either slavery or Jim Crow, although some states and localities have investigated single acts of dispossession. 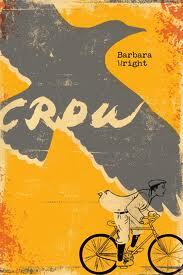 For middle grade readers, Barbara Wright’s Crow portrays one of those, the 1898 Wilmington coup that drove out most of the city’s Black leadership and much of its thriving middle class, and impoverished the rest. During Jim Crow, the life of a Black person and his or her accumulated wealth and political and economic rights could be taken away in an eyeblink. Segregated public facilities and restrictions on movement and behavior — whether enacted into law or customs handed down — were designed to exclude, disadvantage, and humiliate. A half century after the official end of Jim Crow, we have elected a Black President, but reconciliation remains as elusive than ever. The murders of Alton Sterling and Philandro Castile were followed in Dallas, Texas by a sniper’s mass shooting of police officers accompanying a Black Lives Matter demonstration. The gunman expressed a desire for revenge, but his act endangered the peaceful demonstrators, the police who had done an admirable and ultimately heroic job of protecting them, and efforts to build bridges following the previous days’ tragedies. The novel from Elliott’s own imprint, Rosetta Press, begins on September 11, 2001, when 16-year-old Genna Colon witnesses the destruction of the Twin Towers from across the river in Brooklyn while Judah, remains in Brooklyn in 1863. Except that Judah is in even worse trouble. He has been kidnapped and sold into slavery down South, in a part of Georgia far from Union forces. Genna is torn between her life in the twenty-first century, where she is reconciling with her mother and looking forward to her older sister Toshi’s new baby, and her friends, and Judah. While Genna battles with a white teacher who doesn’t appreciate her passionate insights on history, Judah endures harsh labor and beatings, and during an escape attempt he kills a white slave hunter. Eventually, he finds a Union encampment and makes his way back, but he isn’t the same person who was separated from Genna at the portal months earlier. When Genna, with the help of Judah’s friend Peter, reopens the portal and returns to Brooklyn in 1863, all kinds of problems ensue, not the least of which is the fact that Peter, who is gay (and hasn’t told Judah) accidentally ends up going into the past with Genna. Elliott tells Genna and Judah’s story in alternating chapters. While Genna is in Brooklyn in 2001 and Judah is in the South, Judah has two chapters for every one of Genna’s. When Genna arrives in Brooklyn in 1863, she takes over most of the narrative. Ultimately, The Door at the Crossroads, like A Wish After Midnight, is Genna’s story, as it should be. Genna is a complex, multifaceted, and real character, one who can carry a multivolume series. Her romantic struggles are also complex and illuminating, as she comes to realize that the boy for whom she has sacrificed so much may not be worth the effort. Judah is both heroic and so deeply flawed as a person that she may not want to have anything to do with him again. 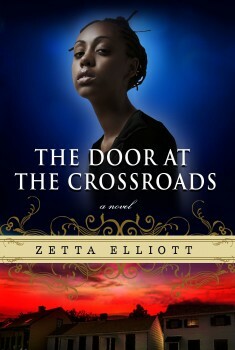 Everyone needs to read The Door at the Crossroads, now more than ever. Looking for other posts with reviews and analysis, with a focus on writing? Check out this, this, and this. Thank you for this beautiful and thought-provoking post, Lyn. I totally agree. Zetta’s book and Kekla’s book are much needed reading. Thank you, Linda! I’ve read several blog pieces recommending that people spend time in the library, and I think it’s a wonderful idea. Libraries are places that unite the community, and the books offer opportunities for learning and contemplation. Thanks for this post and the book recommendations. I did read both the picture biography and the middle grade but now will seek out the YA. I agree that both Poet and Crow are powerful and necessary reads for our times! Thank you, Roxanne! Zetta Elliott is an amazing writer who has chosen to publish outside traditional media to avoid the filtering that goes on when white editors edit people of color. The quality of her books, not just The Door at the Crossroads but also her picture books and middle grade titles such as Max Loves Muñecas and Dayshaun’s Gift, challenge the idea that indie published books are necessarily editorially inferior to those published traditionally. Heavy editing, even from an experienced editor, doesn’t always create a better book. Sometimes it creates books that lose their uniqueness and essential truth. Beautifully said, as usual, Lyn–thank you for the post! I’ve been on tour (performing in Poland) and have been horrified to hear all that’s been happening. (What is it about snipers and Dallas, somehow?) Everyone is talking about it over here (I’m now in Spain), as well as about Obama’s visit to Madrid and the isolationistic Brexit vote. Looking historically, I see so many echoes of the 1930s that it makes me quite concerned. Many years ago, in the mid-90s, a singer friend and colleague, spoke of being stopped in a local white suburb for “driving while black.” He hadn’t done anything wrong, and nothing transpired, thank goodness. But I was outraged then on his behalf, and find it appalling that we haven’t moved forward one inch–not even a centimeter–despite having elected Obama as president. I agree, and having been in Europe for the Brexit vote, I saw a lot of disturbing trends there as well. People from Poland are now experiencing so much hatred from their British neighbors, and yes, it makes me think of the 1930s. Too many people, especially in progressive enclaves like Manhattan, underestimate the appeal of xenophobia and fascism for people who have lost their status. I wrote a YA novel that touched on this but couldn’t find a publisher (or anyone interested in even reading it) when my agent submitted it 2 1/2 years ago. Yes, indeed. Antisemitism has strongly reared its ugly head in Hungary and Poland, too. (Not to mention Russia and Ukraine’s recent history.) You might have your agent resubmit or submit elsewhere, IMO. Although much of this was already going on two years ago, a good deal has happened since then to make the world aware of all of all this–and it’s even stronger now!